Sweltering summers have plagued both the Rangers and their fans since the team moved to Arlington, TX in 1972, first at Arlington Stadium and currently at Globe Life Park. 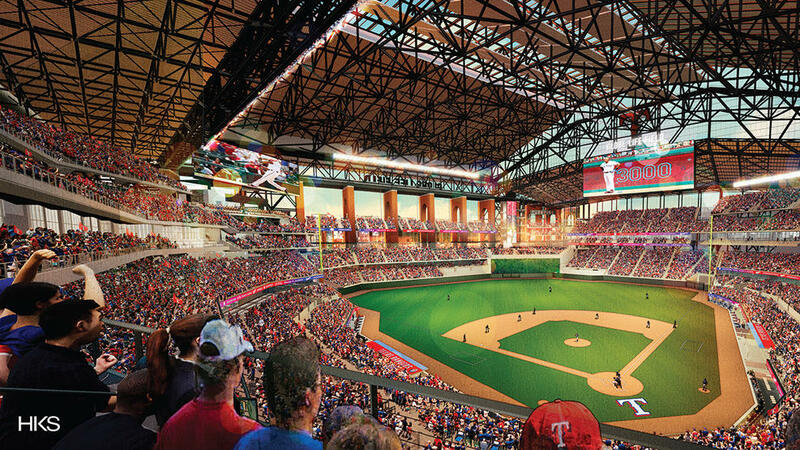 When the Rangers current ballpark was designed in the early 1990s previous ownership rejected the idea of a retractable roof, favoring a retro-style ballpark. 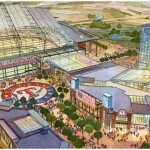 Although the team has recently spent over $50 million upgrading Globe Life Park, they announced plans to build a new $1.1 billion retractable roof stadium adjacent to their current home in May 2016. 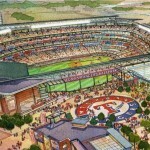 The City of Arlington and the Rangers would share the cost of the stadium and extend their lease through the 2053 season. 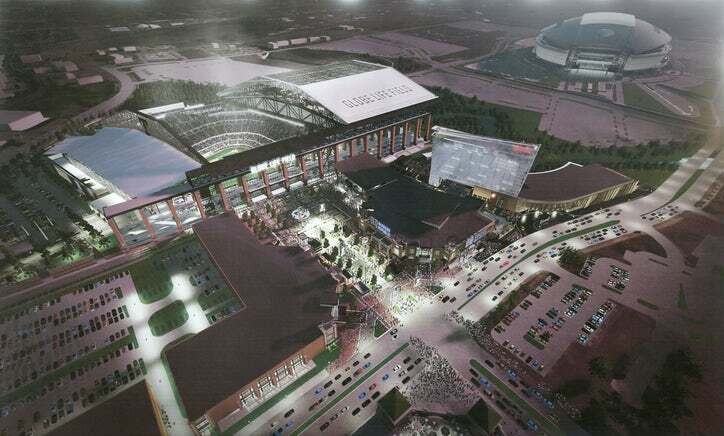 Arlington plans to use a half-cent sales tax, 2 percent hotel tax and 5 percent car tax to fund their portion of the facility. On November 8, 2016 voters approved the proposition to fund a new ballpark for the Rangers, keeping them in Arlington until 2053. 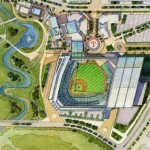 The ballpark will be built in parking lots across Randol Mill Road from Globe Life Park. 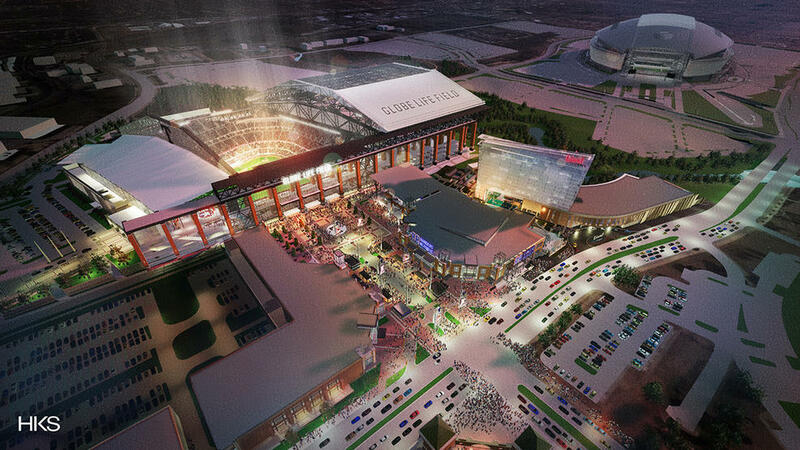 It will be built in conjunction with Texas Live!, an entertainment complex the Rangers plan to build within existing parking lots. This complex will feature a hotel, convention center, courtyard, retail stores, restaurants and clubs. It will serve as one of the main entrance areas into the ballpark, directly into left field. 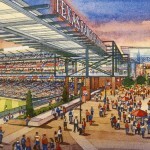 The facade of the ballpark will consist of glass, brick and steel. The retractable roof will feature clear roof panels to allow natural light into the ballpark when the roof is closed. When open, the roof will retract west, over and behind the third base grandstand. 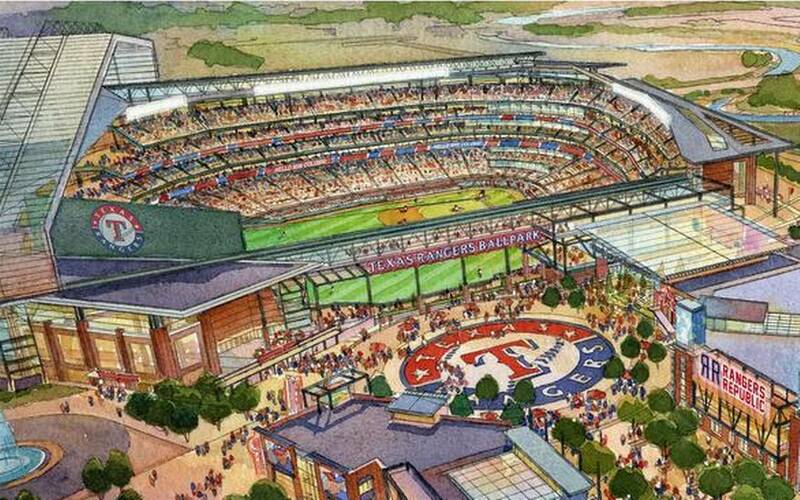 Inside Globe Life Park will have a seating capacity between 41,000 to 42,000. In August 2017, the Rangers and Globe Life and Accident Insurance Company extended the naming rights agreement that’s currently attached to the Rangers ballpark to their future ballpark. 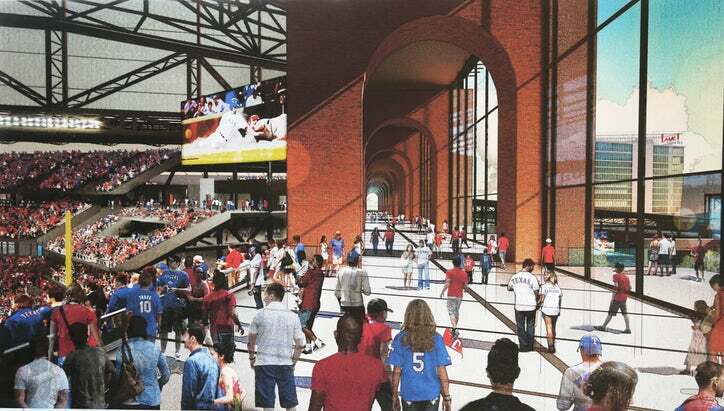 Construction of Globe Life Field begins in Fall 2017 and the ballpark will open in 2020.